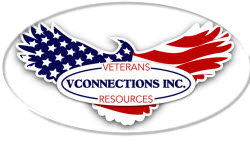 In a recent needs and assessment survey performed by VConnections, we found that a large number of the southern Maryland veterans’ population were unaware of some of the benefits they are entitled to or how to apply to them. Our goal, in partnership with location resources from the tri-counties, is to implement training and awareness programs through technology and focus groups. By leveraging mobility, VConnections will have the ability to help veterans increase their knowledge and awareness of benefits within a strategic timeline.